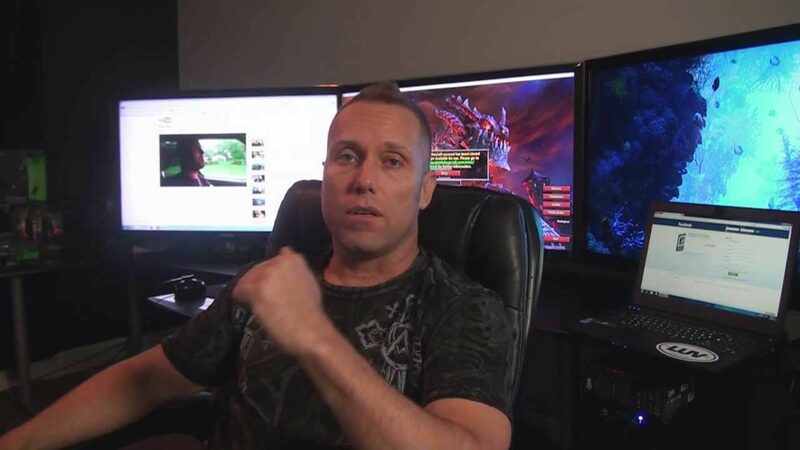 Last night, popular World of WarCraft player and livestreamer, Swifty, was streaming his game session as usual when the police arrived to his house to investigate an anonymous tip that Swifty was threatening someone with a knife. In front of live camera, the police questioned Swifty and searched his home before detaining him for further questioning at the precinct. Apparently, this is the scond time Swifty's home was raided due to false accusations from some prank caller. Sad, he thinks he is actually a celebrity with such high stature, that he's going to tell the police officer he's broadcasting live, like the police will understand and go away, you play world of warcraft dude, and my brother kicked your *** in 3's, go away lol. Bro, you really are a moron. Bro, you really are a moron. He tells the police that he is doing a live stream because its an alibi. I.E. He couldn't have threatened someone with a knife because he was doing a live stream while the threat was supposed to have occurred. Your the one that need to "go away". Haha, you really are stupid. He telling them that he broadcasting live because it proves that he was not threatening anyone. You're an idiot! there's no way I could have called you an idiot I have an Alibi. I was on my computer at home. I guess in this day and age you have to be face to face to make a direct threat to someone right? If you're streaming both yourself and your screen then it's kinda hard to threaten someone without being noticed isn't it. dureing? really? you ******* noob.